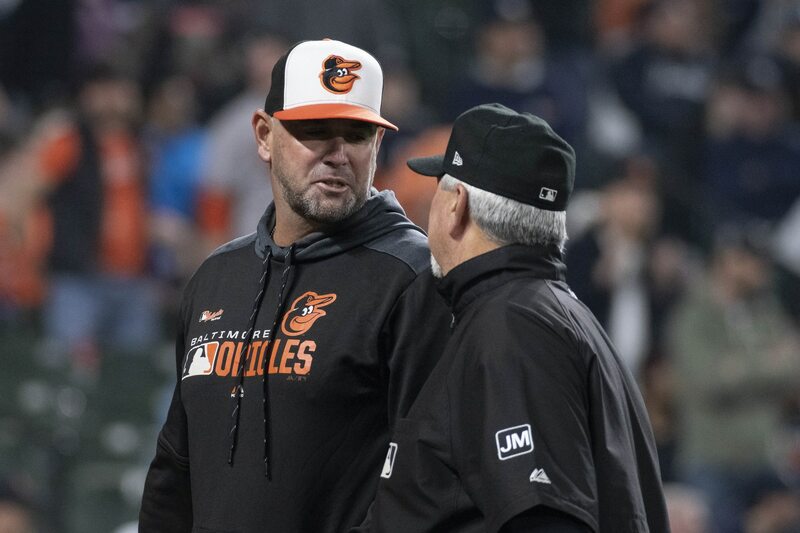 During the fifth inning of Monday’s game in Boston, new Baltimore Orioles manager Brandon Hyde earned his first career ejection as a manager after arguing a replay decision. Red Sox third baseman Rafael Devers slid hard into second on an attempted double play, disrupting the throw to first and helping Steve Pearce beat it. Hyde went out to argue the play, which was then reviewed. The play stood as called, with Pearce being allowed to stay on first. That’s when Hyde lost it. Baltimore was up 4-1 at the time and entered Monday’s game with a 6-10 record on the season.